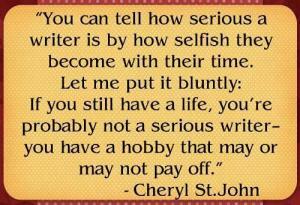 What It Takes To Be A Serious Writer – Have We Had Help? In the good old bad old days, wrongly or rightly, writers were shielded by their agents and publishers from their reading public to maintain an air of mystery, and to shield them from the more repugnant elements of society, among other things. These days since the internet became reality, it has become a necessary tool for all writers to be able to let their readers get to know them.